It's been good to be here in Oxford with my brother Ted. He loves it here and I can see why: there is a real sense of community and lots of opportunities to serve God. I have made a lot of new friends myself and have had the opportunity to share Christ with many here. 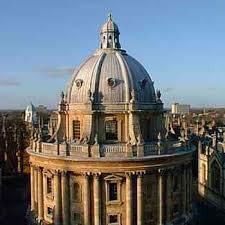 Although just a small town, Oxford has two vibrant, evangelical churches of over 1,000 people on the same street! There are many commmitted Christians here, including many Oxford professors. I'll be spending a couple of days with George Verwer, his current gopher Mark Roberts and other friends in Chicago February 3-6. One of the events is Moody Bible Institute's annual Founder's Week. I was there with George last year as well and I think that was one of the coldest-weather weeks of my life (roughly -30 C). Hopefully it will be warmer this year! But it will be great regardless. 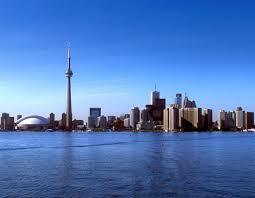 I'm not sure when I will be arriving in Toronto, but it may be by bus from Chicago February 7. I will keep my itinerary updated here on my blog. PTL, I have found a roommate and what sounds to be a great apartment on the ground floor of one of the high-rises in the neighborhood I have mentioned often on this blog. It will be great to be part of the growing, Spirit-led, purpose-driven community there while running my online book business (www.bookling.com) full-time and also continuing involvement with George Verwer's Special Projects part-time.